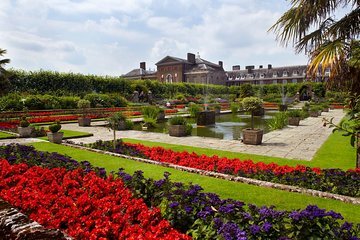 Take an intimate tour of London’s Kensington Palace, past and present home to members of the Royal Family for more than 300 years. Make your own way to the palace and enter immediately with your priority entrance ticket. Once inside, explore the extravagant space that has figured in many royal dramas through the ages. Wander through the King’s and Queen’s State Apartments, where you’ll see rare works from the Royal Collection. 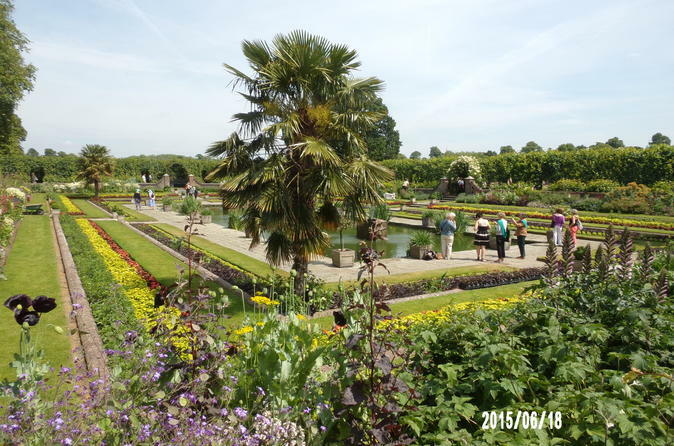 Then head outside and walk through the exquisite Kensington Palace Gardens. After you’ve toured the historic rooms and grounds, visit the ‘Victoria Revealed’ exhibition. Learn of Queen Victoria’s birth and upbringing on the estate, her rise to queendom at the age of 18, and the many impassioned roles she played in life from dedicated wife and mother to arts enthusiast and influential stateswoman. Admire the carefully designed staging and the wealth of personal objects on display. Leave with a better understanding of the humanness of this great English monarch. Consider the flexible and convenient Royal Palaces Pass. Valid for two years from purchase, this pass offers priority access to the Tower of London, Hampton Court and Kensington Palace. Explore some of England’s grandest landmarks at your leisure! Enjoyed all the exhibits, especially all the information about Queen Victoria. There is a person in each room and one young gentleman who was in the dining room where you can actually sit at the table! shared a lot of great information about Victoria and how she became Queen. The nice thing about this tour was that there was no specific entrance time, so we were able to arrive when it suited us best. Luckily there was absolutely no line when we went there on a Tuesday around noon time. Very enjoyable. Very straightforward and easy to pickup our tickets. We toured on our own and staff was readily available to answer questions. My daughter loved Princess Diana's fashion section which was a collection of our wardrobe pieces. The surrounding gardens and nearby pond were beautiful! Hyde park in front is good to walk and spend afternoon. Palace is ok but not more than 45 minutes. We enjoyed this do it yourself tour. We pre-purchased the tickets so that we could budget our stay in London so we didn't have to come up with cash or CC to purchase the tickets. We love to go at our own pace, so this was the perfect way to see Victoria's childhood home. Great day trip to the Palace, along with high tea at the Orangery.